Vertical Panel Saw Gets Me home For Tea! 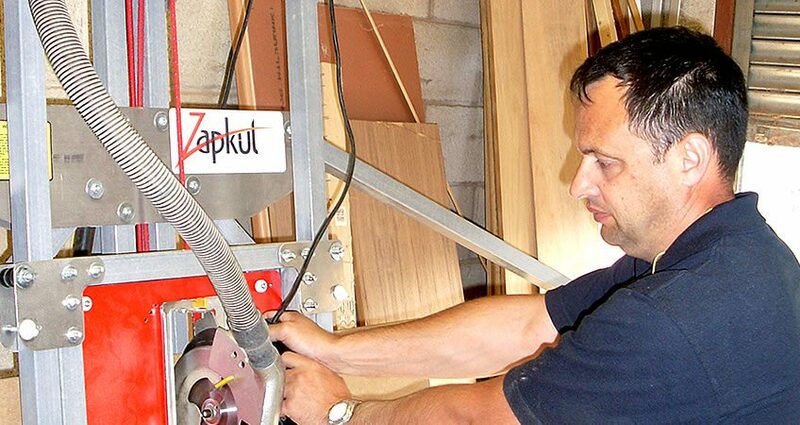 It was whilst searching the Sagetech website (www.verticalpanelsaw.co.uk, specialists in vertical panel saws for the smaller business) that Jason came across a link to the Zapkut, produced by Sagetech’s Ltd. This unique unit is the only truly folding, portable vertical panel saw system available on the world market. Jason is also very complimentary of his dealings with Sagetech Limited, as there were delays for health reasons from his side in being able to take delivery, and he was grateful for the way Zapkut understood his problems during a difficult time, taking care of everything and keeping him advised when delivery was finally transacted. “Zapkut is one of the best companies I have had dealings with over the last eight years”.